Tenants and landlords should ensure that their home adheres to the new rules, with insurance cover needing to be updated accordingly. 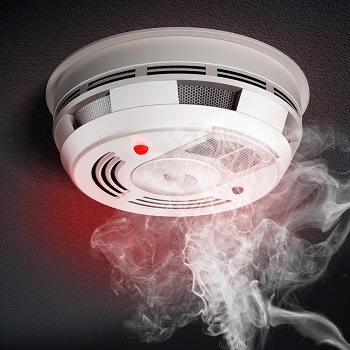 There are new requirements for smoke alarms in rental properties, with one working and “qualifying smoke alarm” necessary in the sleeping place or within three metres of an entry to the sleeping place. Multi-storey units now require one smoke alarm for each level of a habitable space, or in at least one of the habitable spaces (as the case may be). Long-life photoelectric alarms are acceptable along with hard-wired smoke alarms, with both landlords and tenants responsible for making sure that alarms are in good working order. Landlords need to ensure that all smoke alarms are working at the beginning of every new tenancy or upon installation. If landlords fail to comply with applicable standards, they may be liable for a fine of up to $4,000. On the other side of the coin, tenants need to ensure that all alarms are powered and compliant during the tenancy period, with people who render alarms inoperative by not replacing batteries liable for a fine of up to $3,000. Installing conductive foil insulation in residential and rental homes is now banned in an effort to reduce the risk of fire. Regulations surrounding insulation have also been changed in order to improve living conditions for tenants. All residential rental homes in New Zealand are now required to have insulation to help keep homes warm in winter and cool in summer, with insulation to be compulsory in all social homes by 1 July 2016 and all rental homes by 1 July 2019. All insulation needs to be “qualifying insulation”, meaning when installed it has to have a suitable R-value for the location of the property, be compliant with the NZ Standard, and be in a reasonable condition. Tenants who have concerns regarding the performance of smoke alarms or insulation have the option to be heard at the Tenancy Tribunal, with tenants possibly able to offset the cost of carrying out required work against any payable rent. On the other side of the coin, costs incurred by a landlord due to non-compliance may be treated as rent in arrears and enforceable accordingly. The Chief Executive of the Ministry of Business, Innovation and Employment has been given greater enforcement powers surrounding investigating and the ability to initiate proceedings. If a tenant does take action, it is now an unlawful act for a landlord to end a tenancy in retaliation for exercising their rights under the tenancy agreement. While the new changes are advantageous for tenants, additional capital expenditure will be required by landlords to comply with new insulation requirements. According to the Energy Efficiency and Conservation Authority (EECA), at least 20,000 insulation grants will be made available over the next 18 months under the 'Warm Up New Zealand: Healthy Homes programme' to help landlords with costs. A number of new laws have also been introduced surrounding processing and compliance, including new rules that make it faster for landlords to regain possession of abandoned rental properties and changes to the Tenancy Tribunal.